Screenshot of video posted on Breaking News Commune Facebook page. 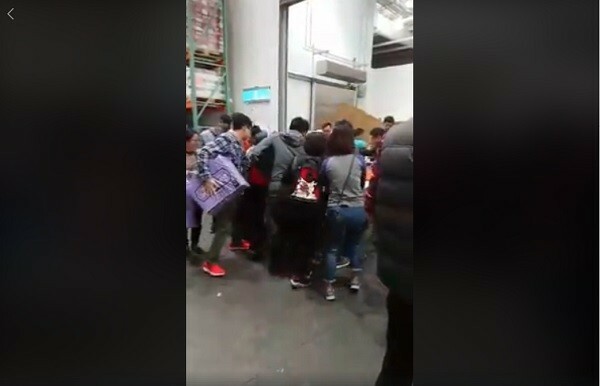 TAIPEI (Taiwan News) -- As fear of a shortage toilet paper continues to spook Taiwanese consumers, panic buying has continued, and video has surfaced of a crowd clambering for some fresh rolls after a new pallet of toilet paper arrived at a Costco in Taiwan yesterday (Feb. 26). At 6:30 p.m. yesterday a user of the popular Facebook platform Breaking News Commune (爆廢公社) posted video of the moment a pallet stacked with packages of toilet paper hit the store's floor. As the video begins, a mob of customers is already surrounding the stack of toilet tissue packages and before the 16-second video is complete, the pallet has been picked completely clean. 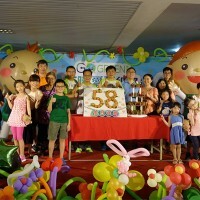 At the time of publication, the video had already racked up 309,000 views within 19 hours. Despite repeated assurances from the government that supplies are stable and that they will not rise until mid-March, many Taiwanese consumers have continued to swarm retail outlets across the country in attempt to stock up before the price hike goes into effect. 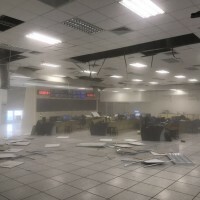 Due to production disruptions in Brazil and forest fires in Canada, the global cost of short fiber pulp, which is used to produce toilet paper, has risen from US$650 per ton on average to US$800 as of February, according to the the Ministry of Economic Affairs (MOEA). 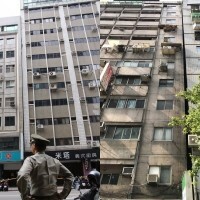 Toilet paper suppliers have informed Taiwan's retailers that prices of the product will go up by 10 to 30 percent, likely starting in mid-March. 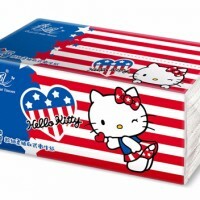 This means that consumers are likely to see the cost of a 12 pack of inter-fold toilet paper to rise from NT$200 (US$6.84) to NT$260 (US$8.89), reported CNA. 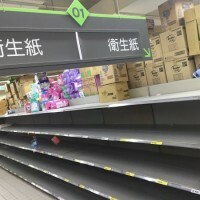 After toilet paper brands announced the price hike on Friday (Feb. 23), word quickly spread to consumers and panic buying soon set in across Taiwan, with many shops reporting empty shelves by Sunday. On Friday (Feb. 23), the Executive Yuan said the Cabinet's price stabilization task force has requested the Fair Trade Commission (FTC), the MOEA and the Consumer Protection Committee to investigate the announcement of the price hike by toilet paper brands. 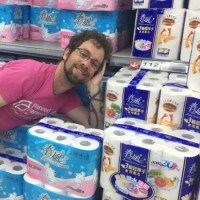 Today (Feb. 27), Taiwan's Fair Trade Commission (FTC) is holding a meeting with eight major toilet paper manufacturers and retailers to get to the bottom of the sudden craze over toilet paper prices and subsequent run on the daily necessity in stores across Taiwan by panicked consumers, reported Apple Daily.